Movie Ramble: A Bullet for the General. A Bullet for the General. A sub-genre of Spaghetti Westerns known as Zapata Westerns, after the Mexican revolutionary leader Emiliano Zapata, used the Mexican revolution as an allegory of American imperialism past and present. The revolution lasted from 1912 up until around 1920 during which most of these films were set. Arguable one of the best examples of this sub-genre was A Bullet for the General (1966). A very political film directed by Damiano Damiani with a script written by Frank Solinas, the writer of The Battle of Algiers (1966) another highly dramatic film, which is about the organization of a guerrilla movement during the Algerian War between 1954 and 1962 and the methods used to annihilate it by the French colonial power. Bill Tate known as El Gringo (Lou Castel) buys a ticket for a train journey. It's this train that is held up by a gang of bandits who are intent of capturing a consignment of guns that are protected by armed forces. 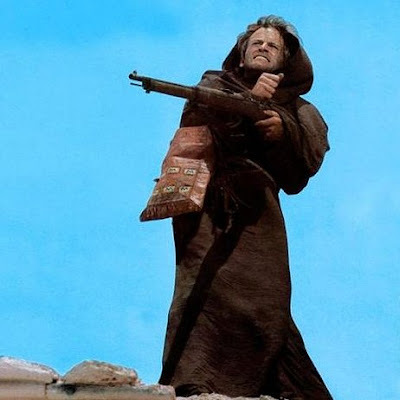 During the hold up Tate manages to persuade the bandit leader and his brother a Catholic priest turned bandit, Santo (Klaus Kinski) to allow him to join there revolutionary band by telling them that he is wanted by the authority's back in the United States. 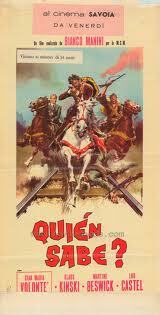 The guns they are stealing are destined for the revolutionary army led by General Elias (Jamie Fernandez). Various adventures take place before the guns arrive at their final destination where we learn the reason why El Gringo carries on his person a bullet of pure gold? The movie is also known as Quine Sabe, Spanish for ‘who knows’ which is said to sum up the main character, a man who eventually recognizes his worth and join's the peoples revolution. English actress Martine Beswick (Slave Girls 1967), best known for her role in two James Bond movies, is the anarchist in white lace Adelita, a beautiful woman capable of extreme violence. Lou Castel is El Gringo. It’s a story that was inspired by historical events that happened in Mexico at the time of the revolution. Made as a tribute to Pancho Villa and Emiliano Zapata, who became National heroes, the director deliberately incorporated the opening scene to highlight that a revolution was taking place and to make it clear that if these brave revolutionaries were captured they were immediately put to death by firing squad. This revolution was a very cruel internal war highlighted early in the film when we see a man secured to the railway track to force the train to stop. Damiani refuses to class his film as a western explaining that a western takes place north of the Rio Grande not south of the Rio Grande. He describes it as film about a rebellion against the ruling class, a historical document that depicts the upheaval in a South American country that was exploited by a selfish ruling class. 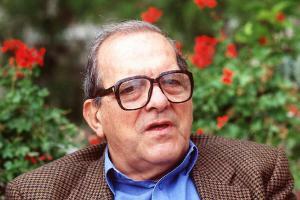 The movie is said to have made overt references to the Vietnam War, and Castel's character was seen as the CIA's interventions in Latin America. Sophisticated, with better direction,strong character studies and artwork which manages to lift the film head and shoulders above the standard spaghetti western. A great piece of work from Damiano Damiani. Made in Almeria, Southern Spain, which easily passes for Mexico, and at the revamped Andalucía railway station! Klaus Kinski preaches the word of the Lord. The movie was extremely popular in Europe, though butchered both for political and content reasons in overseas markets. This latest version is 113mins long where originally the cinema release was a mere 77min long. 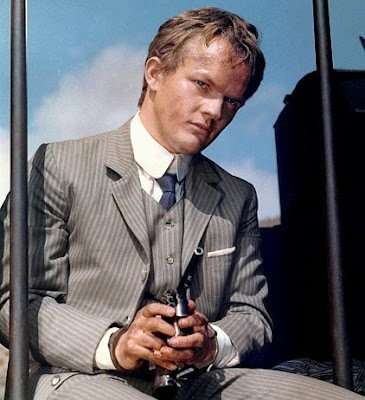 It set the precedent for the development of the sub genre and also greatly influenced Sam Peckinpah’s The Wild Bunch (1969). The film was shot in three languages Italian, English and Spanish. The soundtrack, by Luis Enriquez Bacalov, is appropriate for both the story and the films setting. According to the director the people who take advantage of the suffering of the poor for money, are to be eliminated, an interesting theory, but not sure if he meant in his films or in life it self? Well-written, well-researched review. However, I'm not sure it influenced Peckinpah. Read what I said about it in my review for SWDB. I think it's one of those Alex Cox things: he has an idea and is then so enthusiastic about it, that he even doesn't check a fewe elementary things: the two actors (Jaime/Emilio Fernandez) are different people, and the actor playing Angel in TWB is called Sanchez. A good guy, Alex, but you can't always rely on him.